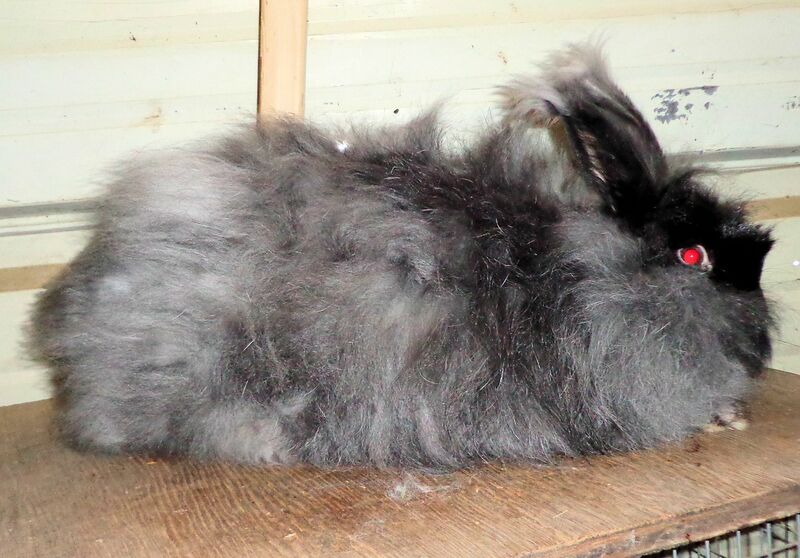 Here is my angora rabbit doe, Jade, a three year old sable color French-English mix. She is ready to be shed out of her long hair. 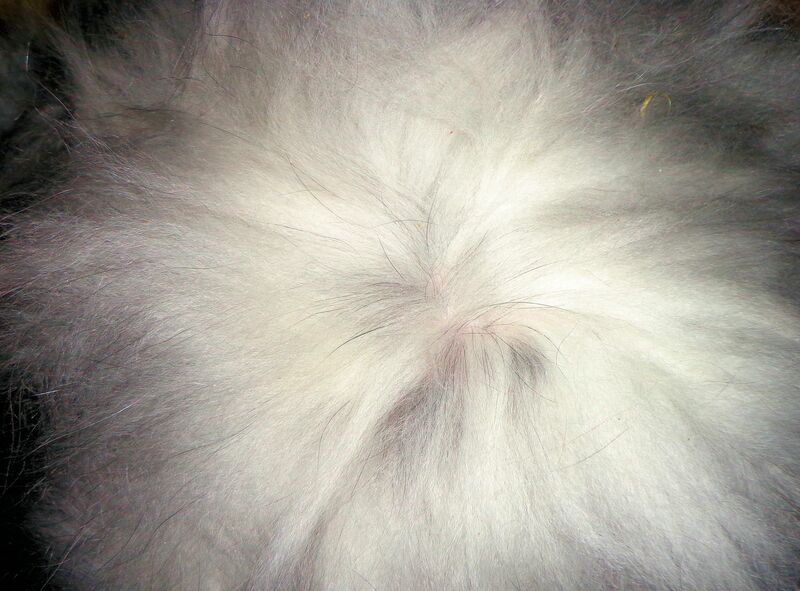 Jade was mated to my albino angora buck and is due to kindle on April 20. Kindle means give birth in rabbit language. She’s shedding her fiber now and I want to clean her up so she’s ready for babies. The first photo shows Jade before any grooming. Just the rough rabbit. I have a high pressure air blower for animals that is very handy for cleaning rabbits, but I won’t be needing it to clean Jade up this time. A simple slicker brush is sufficient. Her hair coat is mostly clean and matt-free. 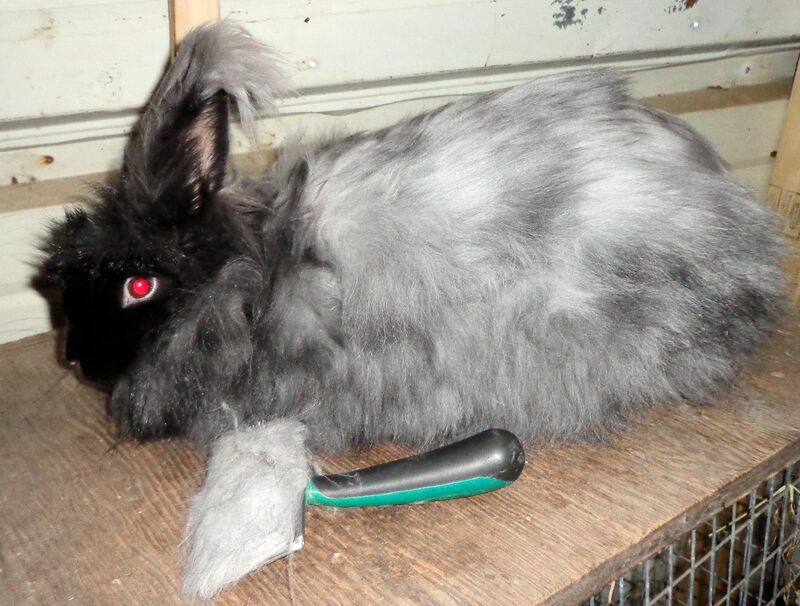 Several minutes of brushing yields a rabbit ready to have her fiber removed. The coat is straight, free of foreign matter like hay and bits of food, and contains no matts. Time to start pulling the fiber. I always hand pull my rabbits. This means I use my fingers to remove the long hair that the rabbit’s body is shedding. The full length of the hair is retained, and produces fiber with a length (or staple) of 4″-6″ on average. Perfect for handspinning. 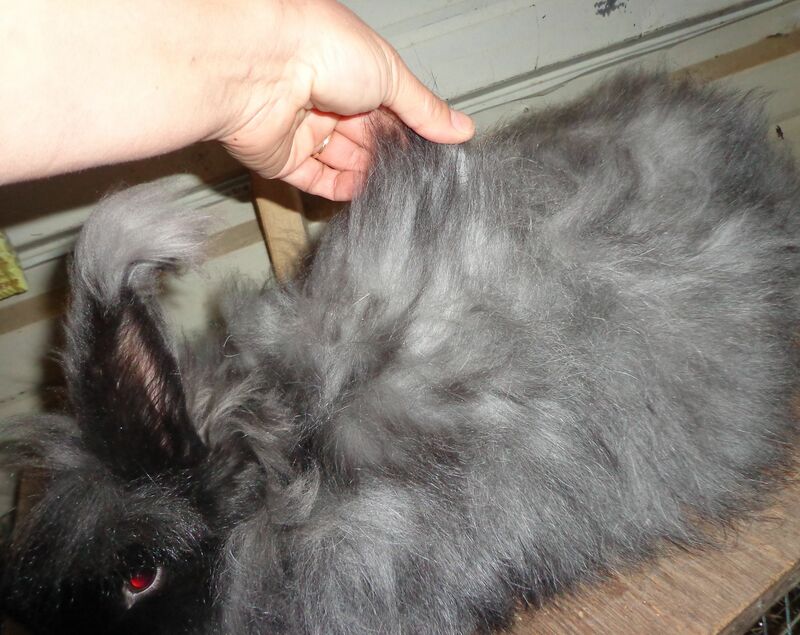 Pulling the loose hairs from the rabbit’s coat does not hurt the animal. Actually, the bunnies like it and stretch out to rest while they are being shed. To remove the hair, I hold a small amount near the tips and gently pull. The loose hair slides out in my hand. I gather a handful then spread it on tissue paper to save. The fiber is laid on the paper with the tips all oriented in the same direction. 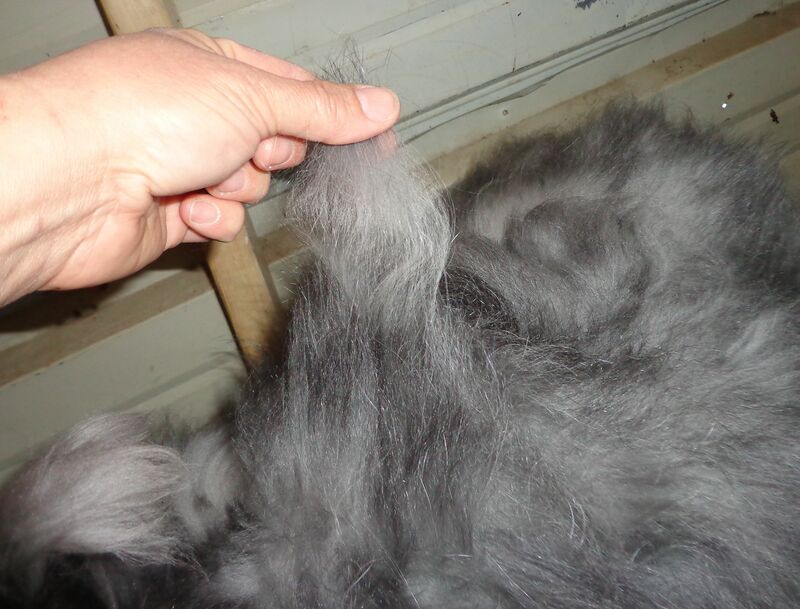 When I am ready to spin, I just pick up a small hank of fiber from the pile and add it to the twist. It takes as much as 30-45 minutes to fully remove the loose hair from Jade. 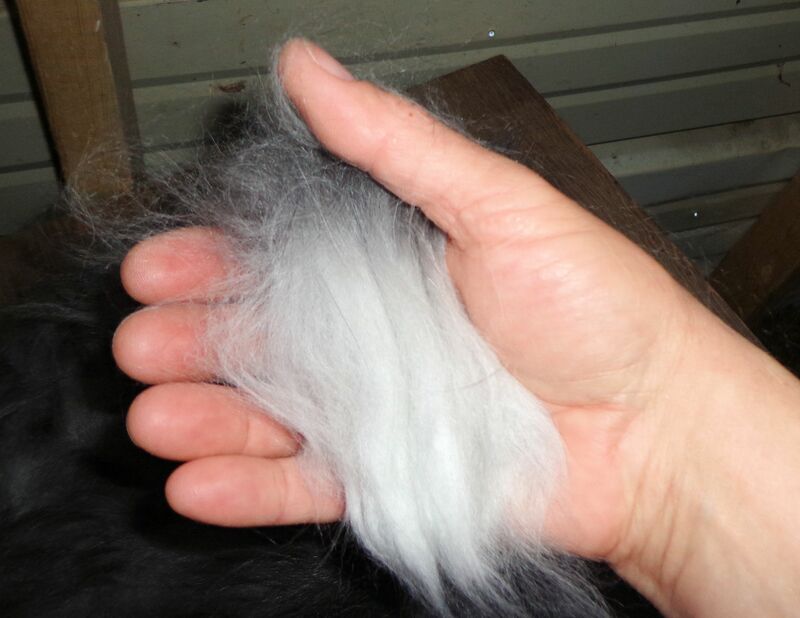 She has a thick, full coat and lovely long fiber. The shorter hairs that grow on places like her feet and under her chin I pull, but do not save to spin. They are not long enough. I save shorter hair to add to her nest when her babies are born. If the shorter fiber is not removed when it is loose then tight, uncomfortable matts will form. 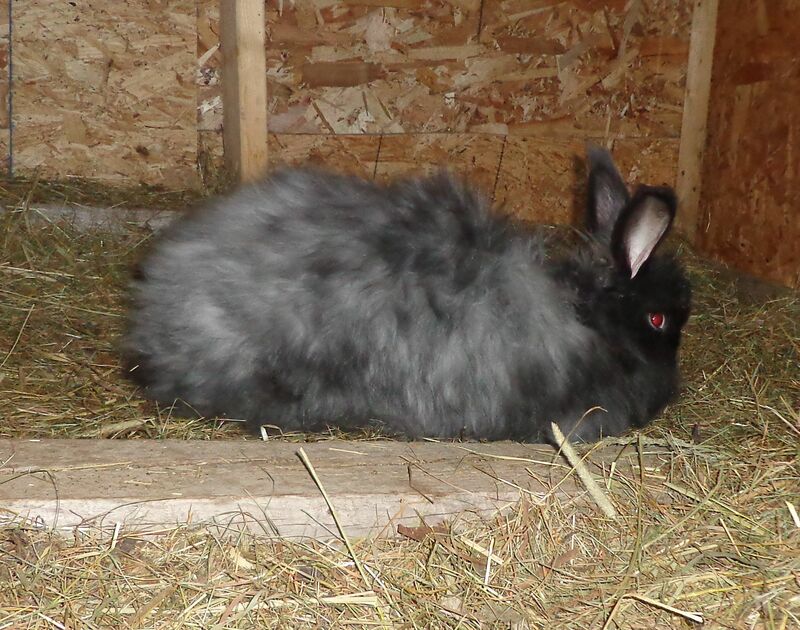 All the loose fiber must be cleared from the rabbit to prevent matting. 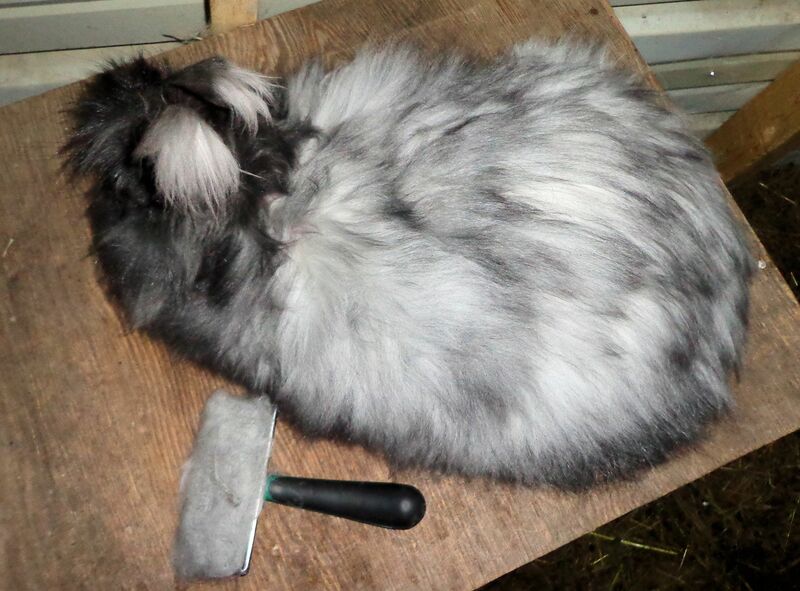 A close look will show the new fiber growing and forming an undercoat on the rabbit. The new hairs are the black tips in the white undercoat. 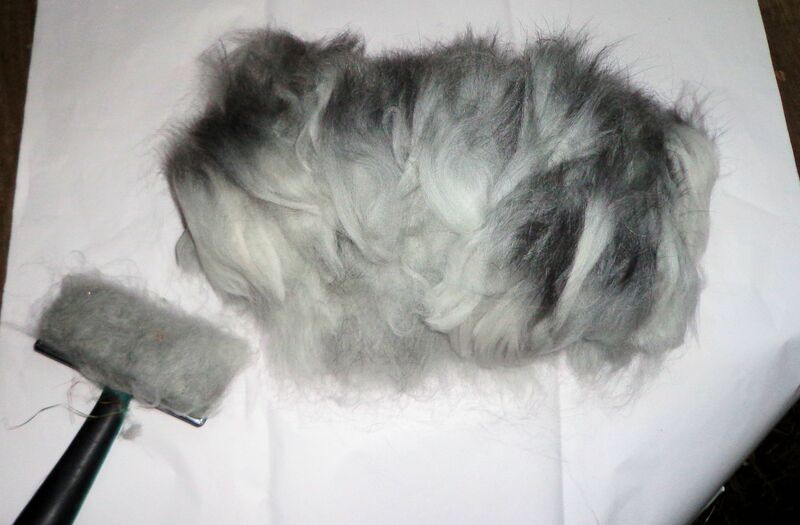 All the longer fiber is removed until just the short coat remains. 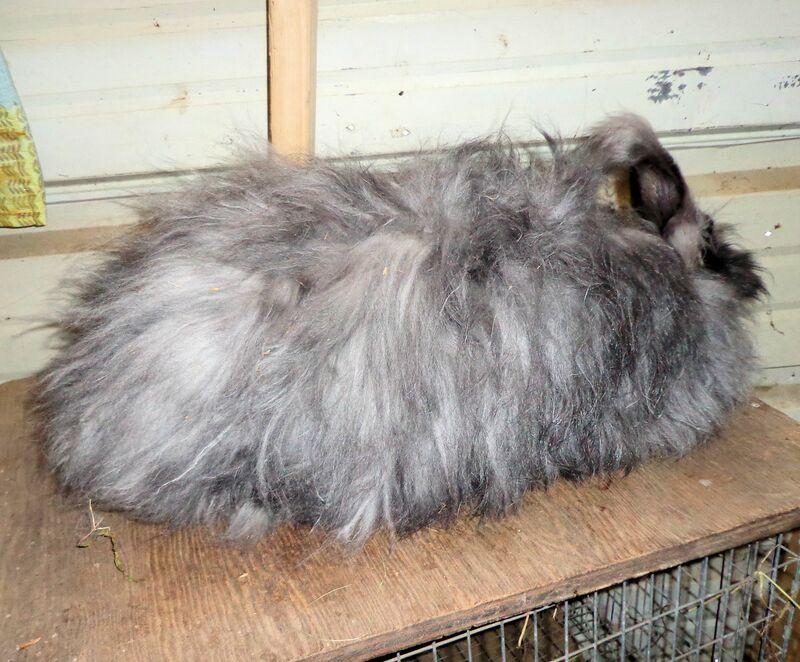 The rabbit is left with fur about 2″ long when she is fully shed. Now I have 2 oz of fiber ready to be spun or sold. This much fiber will make about 100 feet of two ply worsted weight yarn. The pile in the photo is already sold to an eager spinner in Florida. Jade was a good rabbit and cooperated for her shedding. Her reward is a romp around the barn. 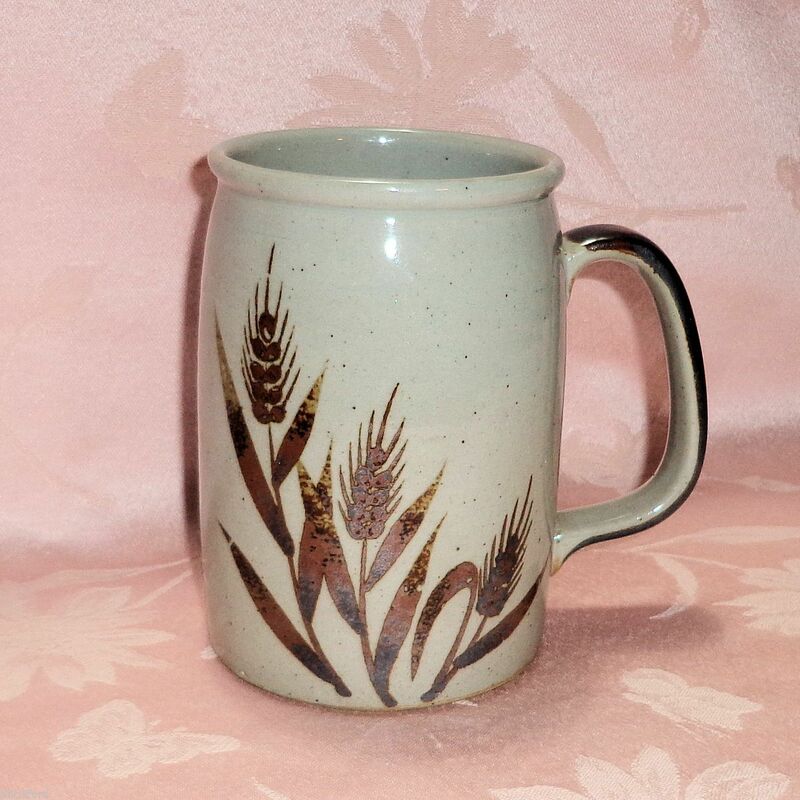 A favorite of collectors is production by the MacBeth-Evans Glass Company of Pennsylvania. 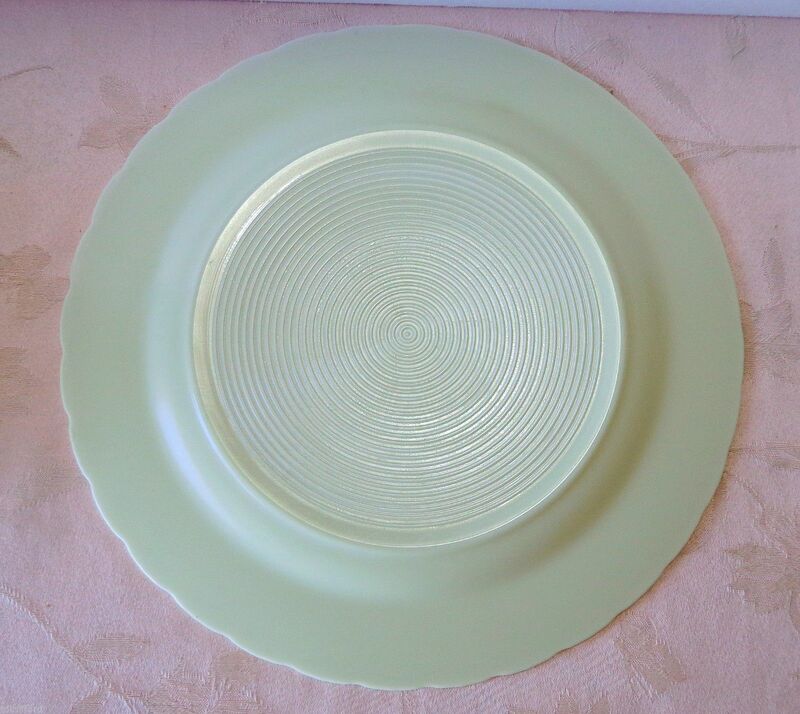 The firm started in 1899 and is most famous for a particular form of Depression glass called Monax. MacBeth-Evans merged with and was pretty much taken over by Corning Glass in 1936. By then glass factories were more automated and created pressed glass for the mass market. MacBeth-Evans began making blown glass, particularly thin, strong chimneys for lamps and globes for street lights. They were a cutting edge company investing in research to develop the finest, toughest glass possible. 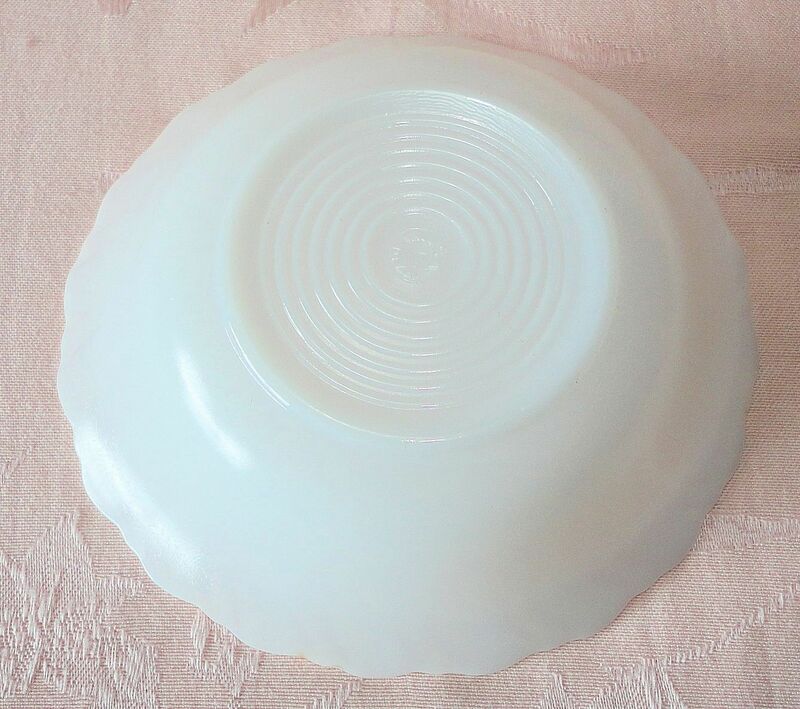 By the early 1920s the company had devised Monax, an opal glass with exceptional heat resistance and strength. The glass was white, very thin, translucent and strong. It was recognized as the best in the industry. MacBeth-Evans expanded from the utilitarian lighting market to tableware, creating resilient, almost impossibly thin plates, bowls, cups and saucers for household use. In addition to Monax, similar glass formulas with a cream or light beige coloration were developed by the firm including Ivrene, Cremax and Chinex. The bowl above is made of opal Pyrex in the Princess pattern. The glass is especially translucent around the rim at the swirls. 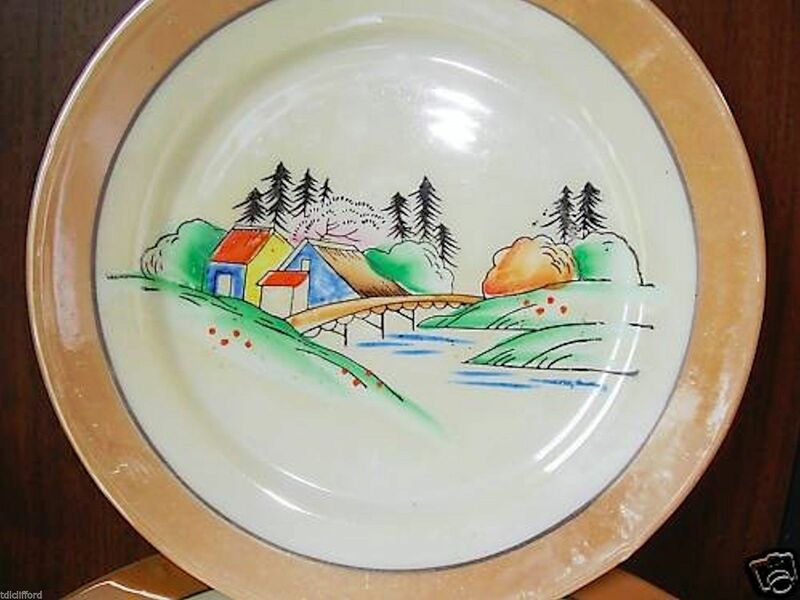 This vintage bowl is from my online store stock. Many patterns were developed by MacBeth-Evans and later continued by Corning. The most popular was designated as R-pattern and nicknamed American Sweetheart. 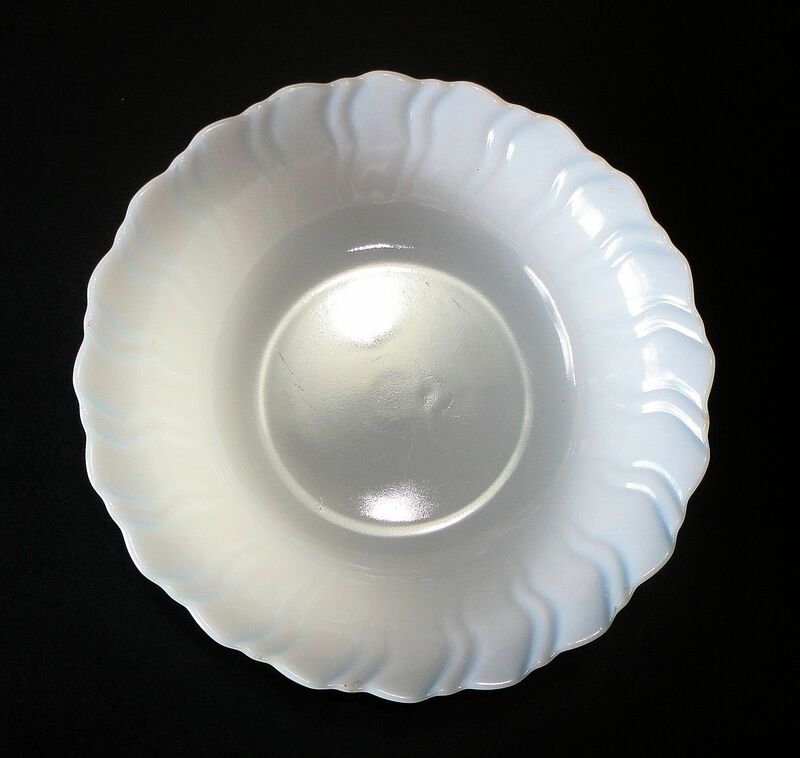 The dishware is very translucent and decorated with an intricate pressed design. 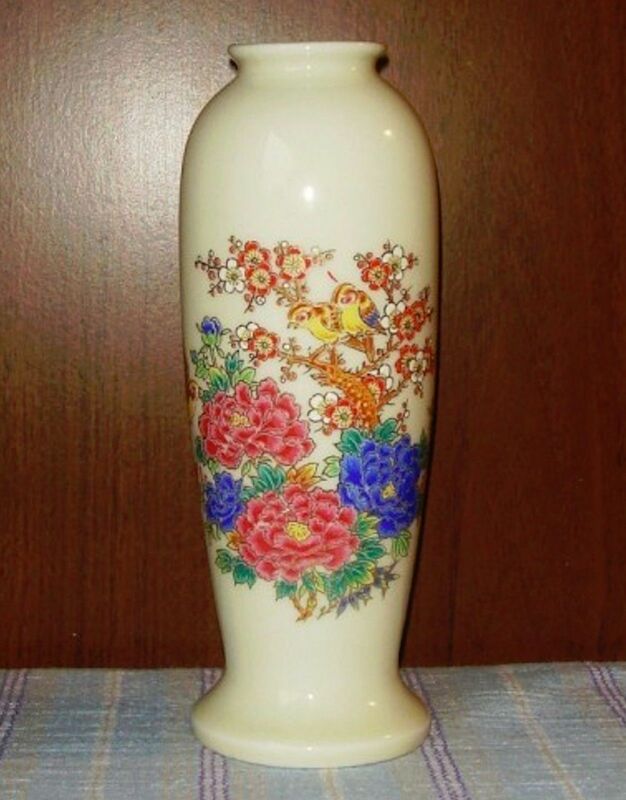 Other patterns included Petalware, Bordette, Dogwood and Stippled Rose. 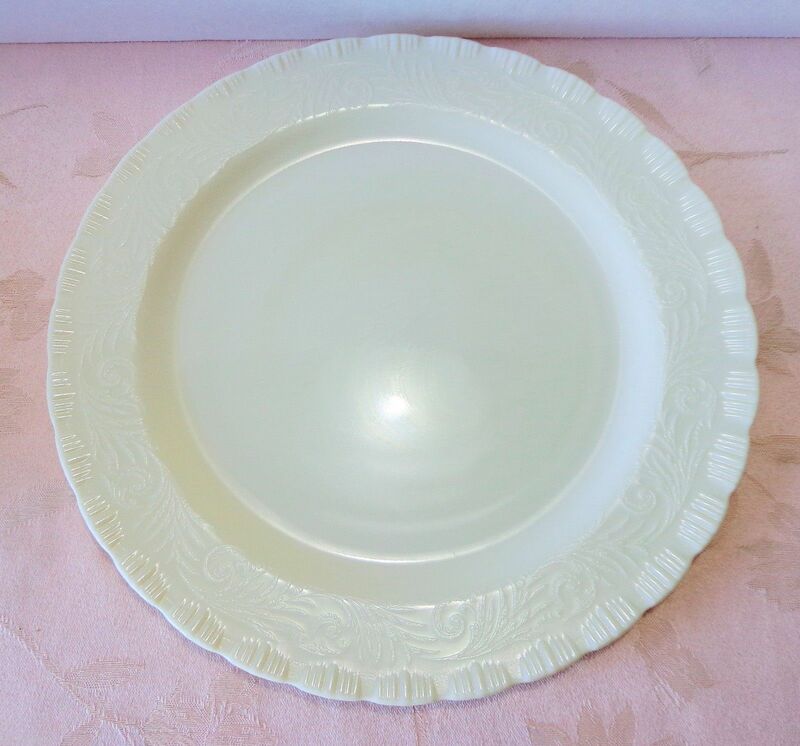 This charger or serving plate is made of Chinex in the Classic pattern introduced in 1938. 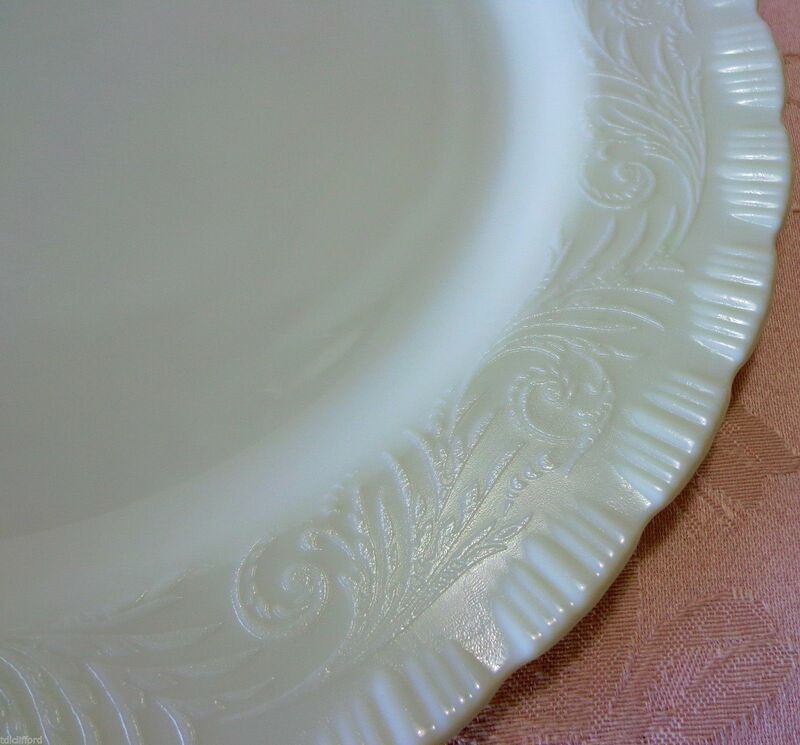 There is a pie crust-type rim with a delicate scrolled embossed decoration. The glass contains characteristic swirl marks often found in Depression opal and milk glass. This plate was recently sold in my online store. MacBeth-Evans glassware is not marked with a company name. The dishware usually has a design of concentric rings on the foot with the words Made in USA appearing near the central rings. The Chinex plate is not marked with any words and was made after Corning took over MacBeth-Evans. I have sold many pieces by this company in my online stores and their work, especially American Sweetheart, continues to be sought after for its great beauty and strength. The pieces I’ve selected to show today are unusual, not what is normally offered for sale. 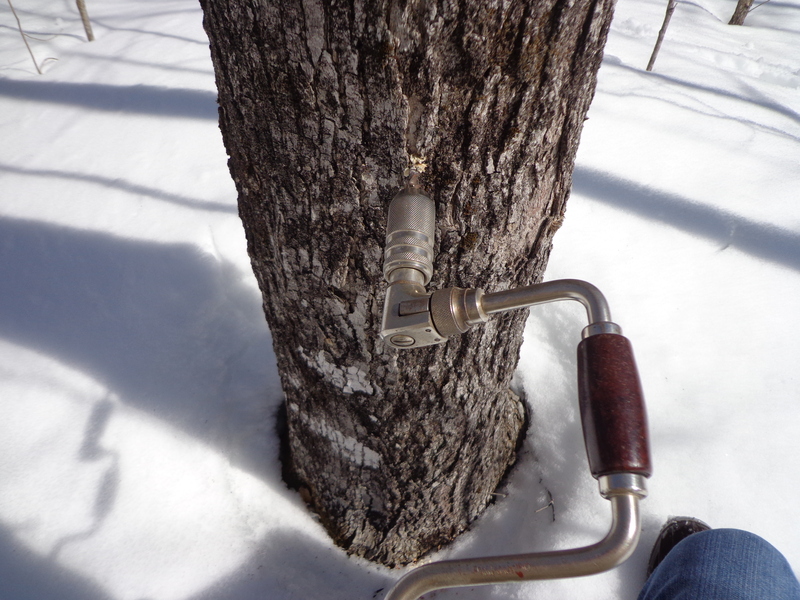 Today I tapped the maple trees. 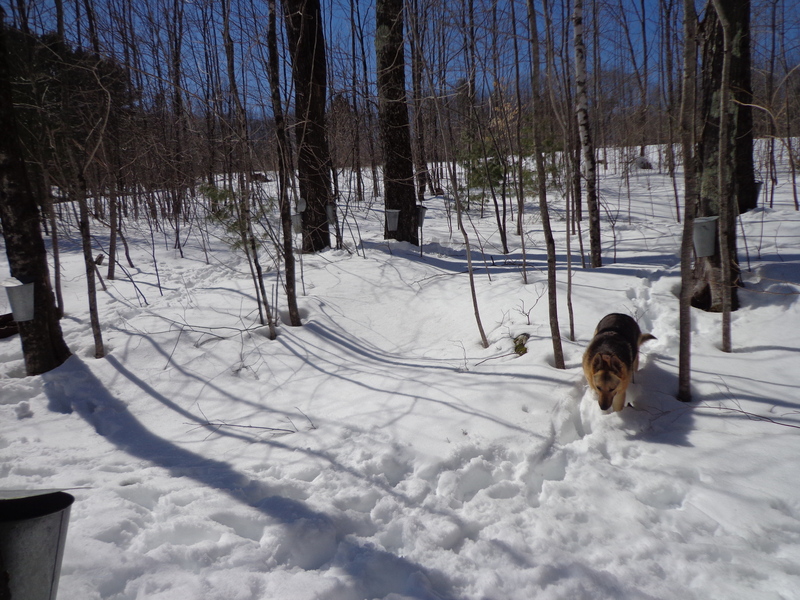 Bright sun, mild breezes and a temperature around 44 F made the sap run strong and steady. I hiked down to the woods through knee deep snow, hitting a few drifts that came up to my thighs. It was so warm I didn’t need a coat! The drilling of the tap holes I do with an antique hand-operated bit and brace. 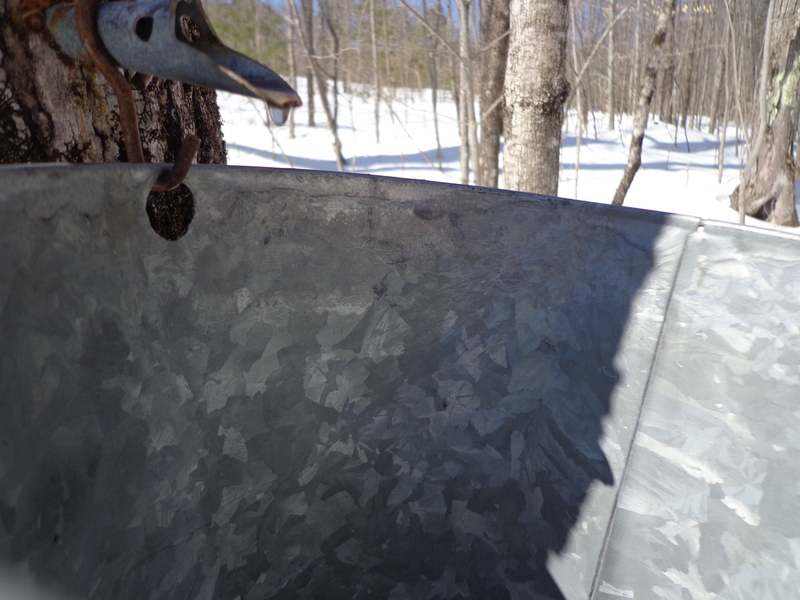 The hole is fitted with a metal spile, a spout to guide the sap from the tree into the bucket. 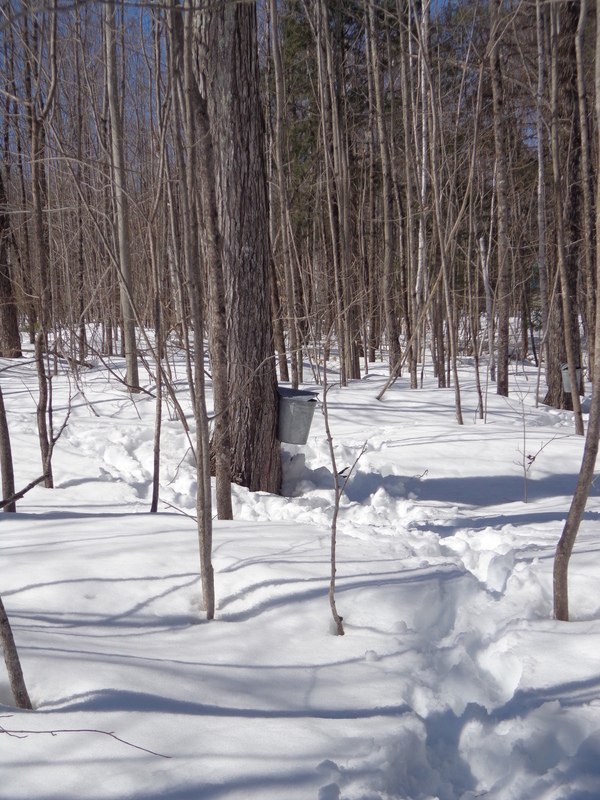 Once the trees are tapped, the maple orchard is filled with the sound of sap dripping into metal buckets. I love collecting sap in this old-fashioned manner. Makes me think of my ancestors, the hardy New Englanders who toiled in much the same manner. There are 23 taps, enough to make a gallon of maple syrup a day if the sap runs well. One gallon of syrup requires about 40 gallons of sap. Some days it doesn’t flow very well due to weather conditions. High winds or a daytime temperature below 40 F can slow the sap. This year’s season is late. January, February and March were all colder than normal and very snow filled. We had a couple days here and there in the past two weeks when sap would flow. All the maple syrup producers in the state are complaining. The season sometimes starts in early February. The next week to ten days will be our season. After that, the temperatures will go too high. Once it doesn’t freeze at night, the trees begin to bud. The sap turns dark and bitter, signaling the end of the season. In the next few days I hope to make three to four gallons of maple syrup. We’ll see how it goes. 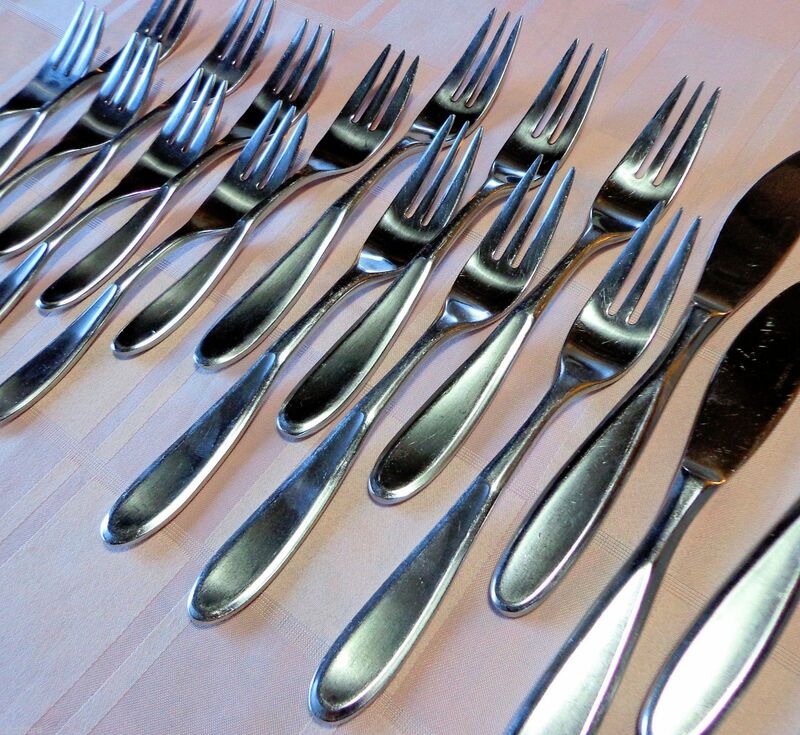 Yesterday I spotted this set of flatware at a thrift store. It is a discontinued pattern called Contour made by Retroneu. The stainless is 18/10 and very heavy weight. The high quality of the utensils caught my eye and made me think they might be worth more than the $4.50 I paid for them. Last night I listed them in my eBay store. They sold in 10 minutes. I think that’s the fasted I’ve ever sold a listing. I offered them for a good price so they would move quickly, and realized a net profit of $95 on the deal! I may have been able to squeeze a bit more out of a sale, but I’m happy and the buyer is happy. That’s what matters. In early March, my mother and I took a short vacation to the south of England and spent a day visiting the New Forest National Park. 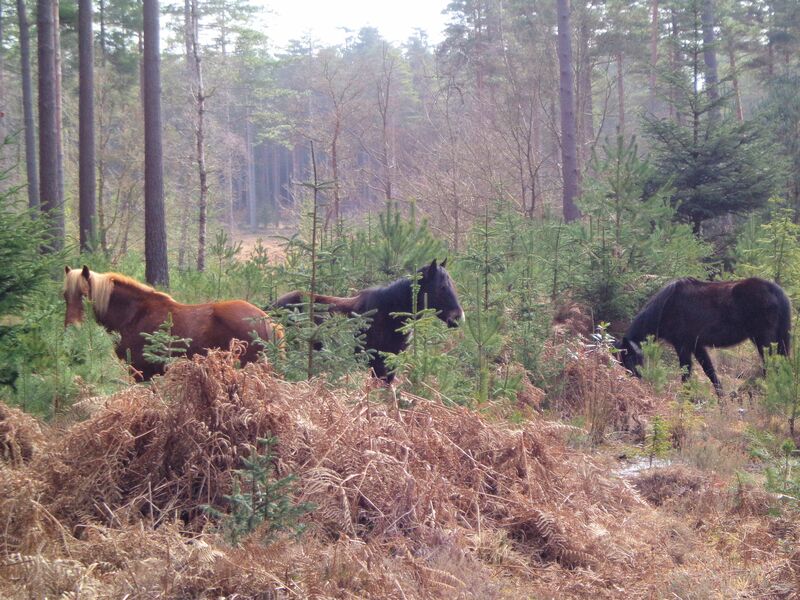 This large tract of reserved land, mostly in Hampshire, is home to the famous New Forest pony breed. Soon after we entered the park, we turned unto a scenic drive and found the three ponies, above, standing right beside the road. They grazed peacefully and showed minimal interest in our presence. The park is largely common ground and is grazed by the ponies, and by cattle, wild deer and at certain times of the year by pigs. This grazing of grassland and shrubs helps to keep the land open rather than thickly forested. 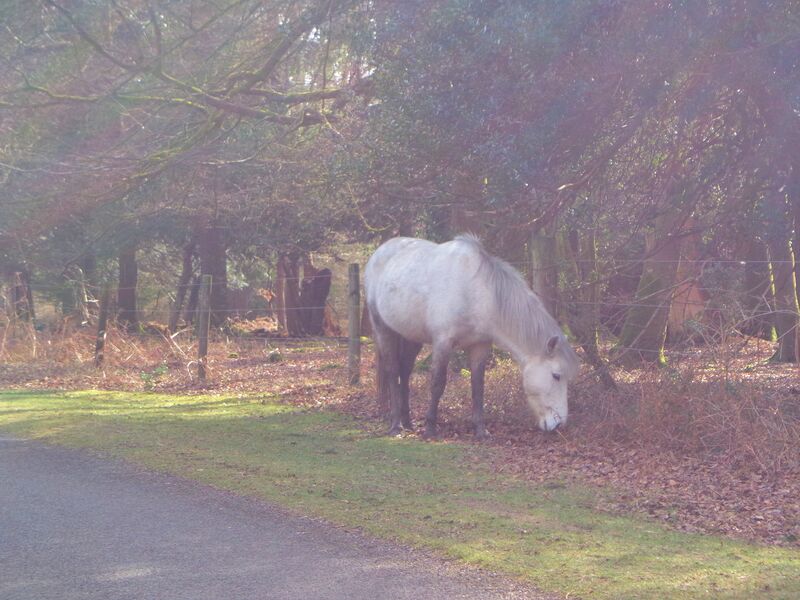 The landowners within the New Forest have the right to graze their animals in the common areas. The animals are given the right of way in the park and the speed limit is 40 mph. It is not unusual to come around a bend or over a hill and find one or several ponies in the road. Driving slowly saves the lives of animals and people. 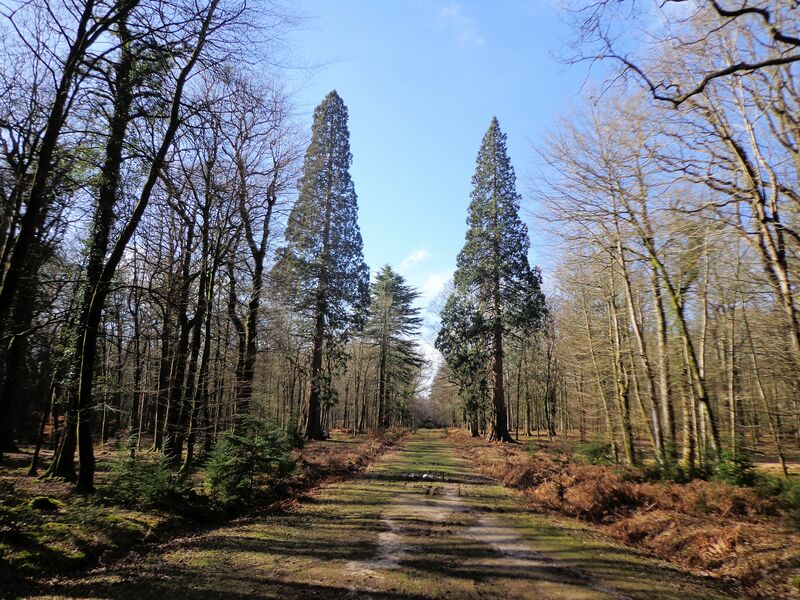 The New Forest comprises 145 square miles according to the Forestry Commission of England. It was created in 1079 by William the Conqueror as royal hunting grounds. The land was maintained for production of deer to satisfy the hunting requirements of the nobility. Commoners faced grievous punishment for tampering with the deer. 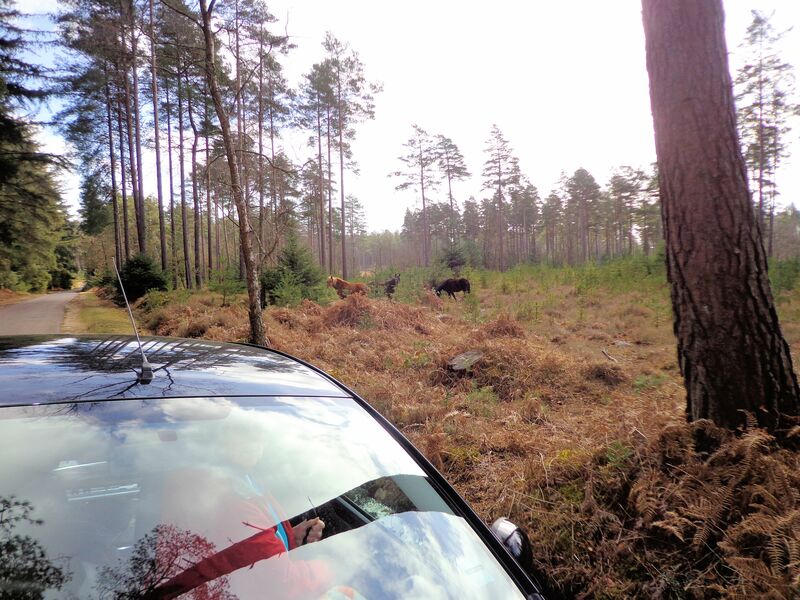 The modern New Forest contains many acres of low-land heath, rivers, wetlands, sea coast and woodlands. This area has some of the biggest remnants of primeval forest. Here grow oaks believed to be as old as 800 years and yew trees of 1000 years. Broadleaf deciduous, various conifers and birch are the primary trees. The most obvious landscape is the open heath: land of low rolling hillsides covered with grass, heather, bracken fern and gorse bush. The soil is sandy and acidic. For our visit, we drove up from Bournemouth on the busy A35 and turned onto scenic Bolderwood Ornamental Drive. This is where we first saw ponies. The scenic drive passes mainly through forest that is cut by narrow swaths of grazing land. We went on to Lyndhurst where there is a very helpful visitor’s center. From Lyndhurst we traveled across heathland for several miles toward Beaulieu. We spotted many wild ponies and some cattle roaming loose. In one place a couple male pheasants were having a wrestling contest in the middle of the road and could barely be bothered to move aside for traffic. After, we went along the Rhinefield Ornamental Drive to the Blackwater Arboretum. 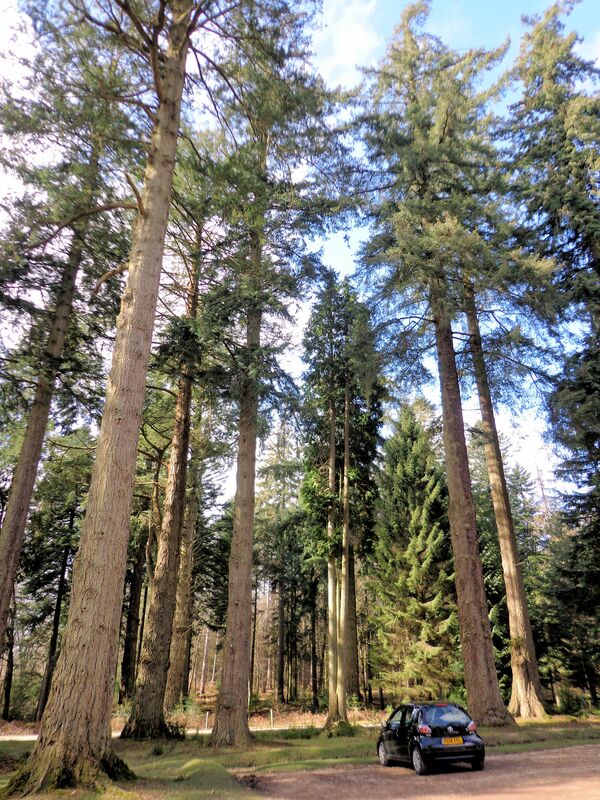 This area is planted to towering Douglas fir, and contains species of trees from around the world. A pair of giant Sequoia trees from the northwest US flank one of the wide grassy avenues maintained for easy passage and grazing of animals. The arboretum is a small area surrounded by a high fence to protect the trees from animal feeding. Outside the fence, huge trees abound and can be viewed from a 1.5 mile graded trail so well maintained that it is wheelchair accessible. The New Forest is an extensive area impossible to fully enjoy in one day, or maybe even a whole week. Walking and biking trails lace the park. Small hamlets with thatched-roof cottages wait to be explored. Roadside inns beckon, promising pub lunches and liquid refreshment. Narrow roads, barely passable when two small cars meet, wander over miles of scenic open land populated only by wild animals. This is a place I would like to visit again one day. 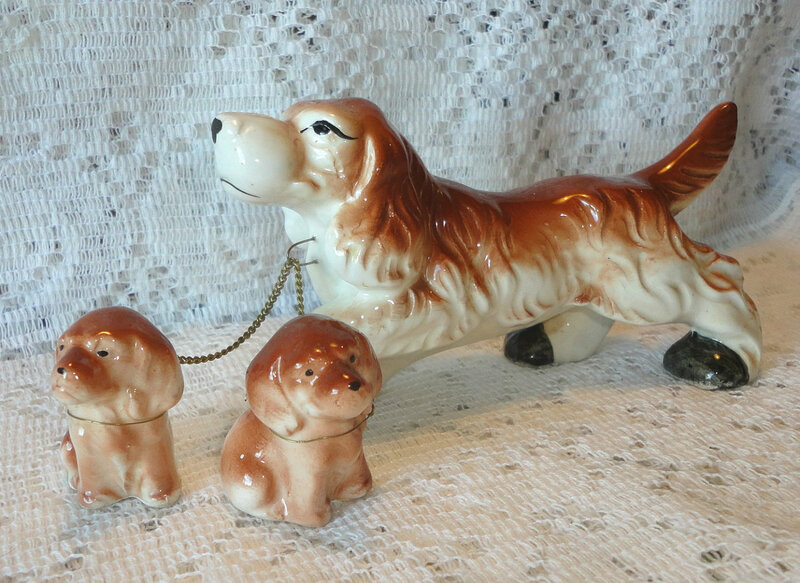 Many collectors favor the kitschy handpainted ceramic items produced in Japan during the early part of the last century. 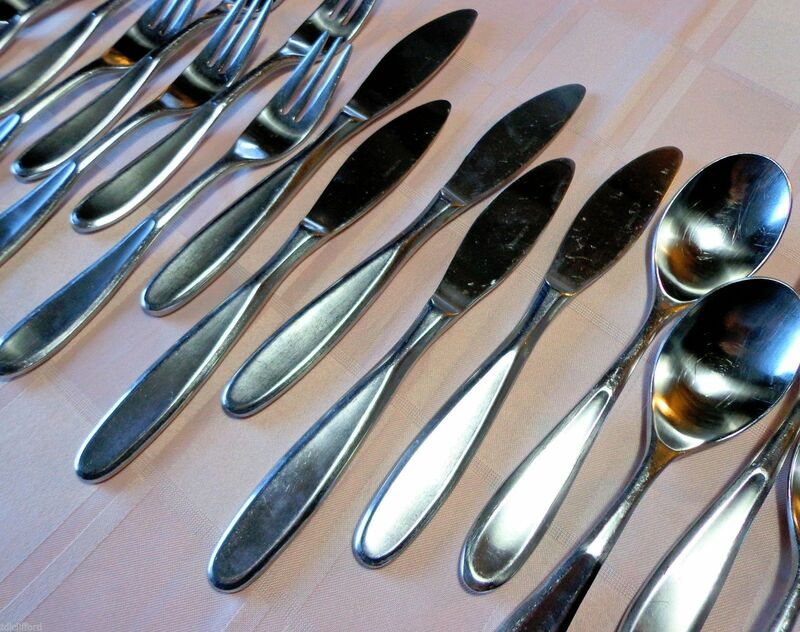 Most are marked either Nippon, Japan, Made in Japan or Occupied Japan. There are so many specialized subsections to Made in Japan collecting that it is hard to name them all. 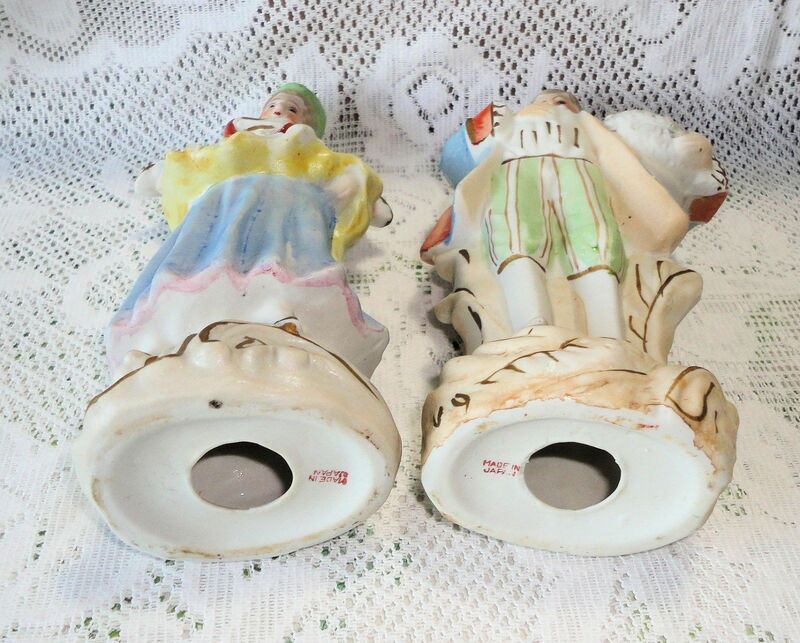 Some include human figurines (such as the ones pictured above,) or animals–horses, dogs, cats, rabbits, birds and other wild animals, salt and pepper sets, match holders, ashtrays, planters, vases, wall pockets, and candle holders. Vases shaped like ladies’ heads complete with fancy hats and jewelry are sought after and can command big prices. Another popular area for collectors is all things for the table: plates, cups, sake and tea sets and rice bowls, especially dishes with luster painting. Tableware was the first export from Japan after trade was opened with the West in the 1850s. Noritake is a big name in this area of production. 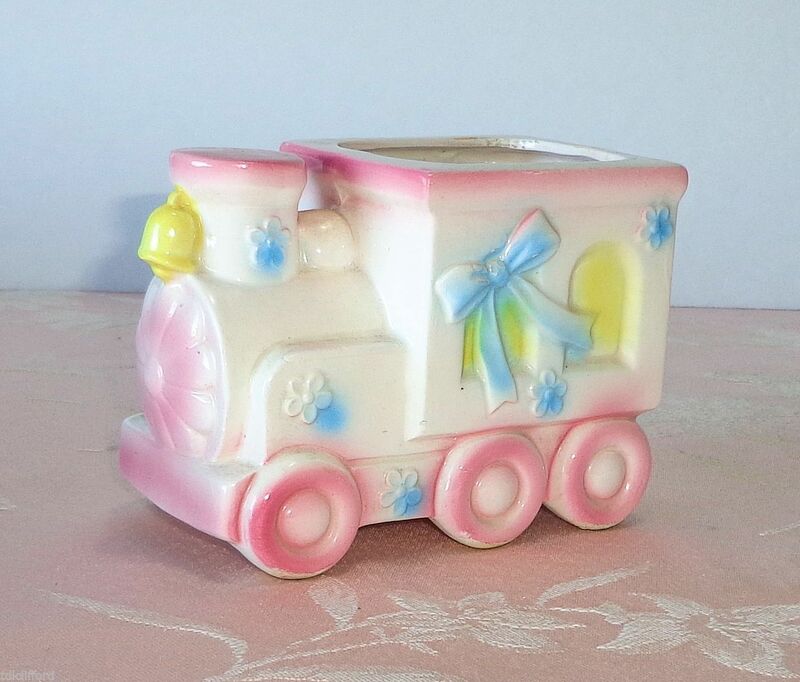 I have carried all these ceramics and more in my online stores over the years, with great success. Some pieces are very well done, others were fired and painted rapidly with an eye to production over quality. In general, earlier work is better quality. Industrialization and the advent of the production line led to a drop in quality. 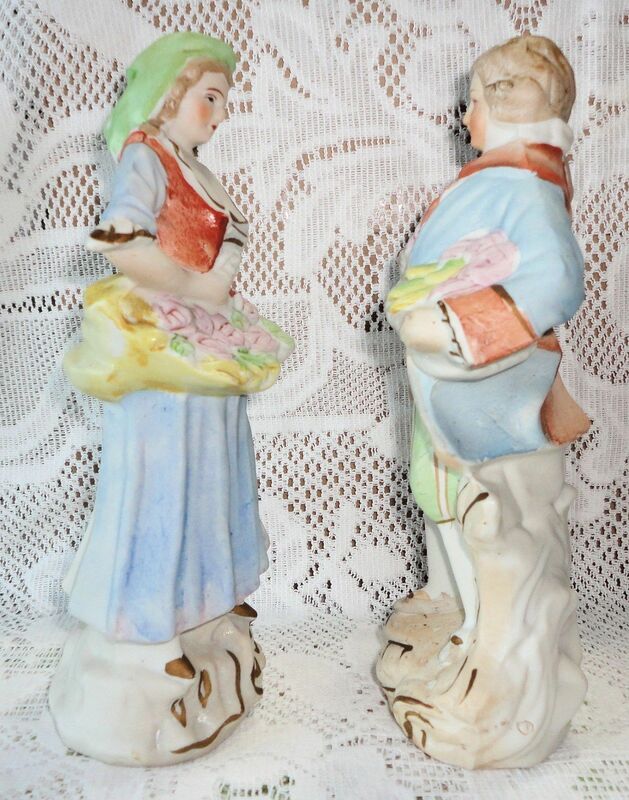 The figurines are of a Georgian couple, probably courting, and are of midling quality with some nice detail, but very quickly painted. The condition is excellent, no damage at all. They are marked Made in Japan with a red stamp. Items from Japan were not always marked, especially prior to 1891. In that year the US required all imports to be marked in English with the country of origin. From 1891 to 1921 the word Nippon was usually placed on pieces. After 1921 until 1941 the word Japan was instituted in place of Nippon. During the war years, 1941-1945, an embargo was in effect on Japanese imports. By 1947, imports were making their way west again and were marked Occupied Japan. This labeling was in use until as late as 1952. After that time the Occupied was dropped. Paper labels came more into use. Since paper and foil labels are more easily lost, import pieces from that time are often not marked. Sometimes a practiced eye can spot an unmarked Made in Japan piece based on quality and form. 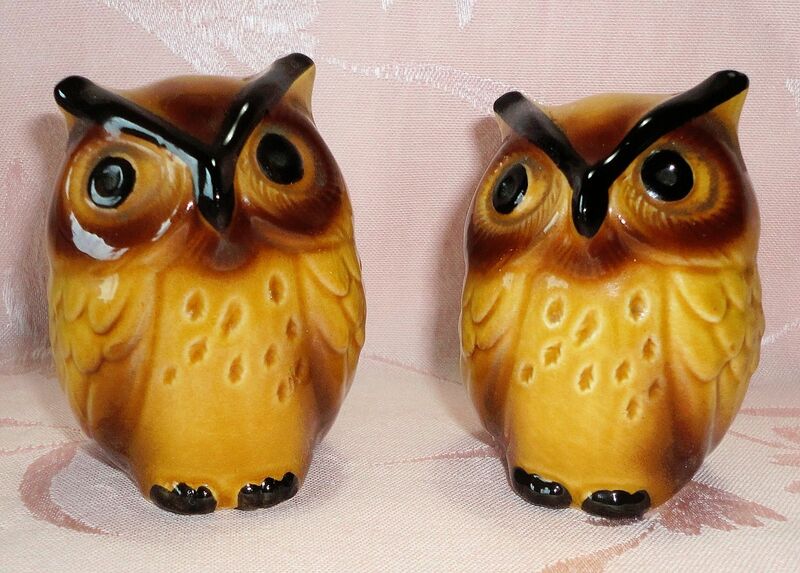 The import of inexpensive Japanese ceramics continued into the 1960s then began to shift to items made in Taiwan. After that, made in China became the norm. This is one big reason collectibles made in Japan are popular, they are no longer manufactured. 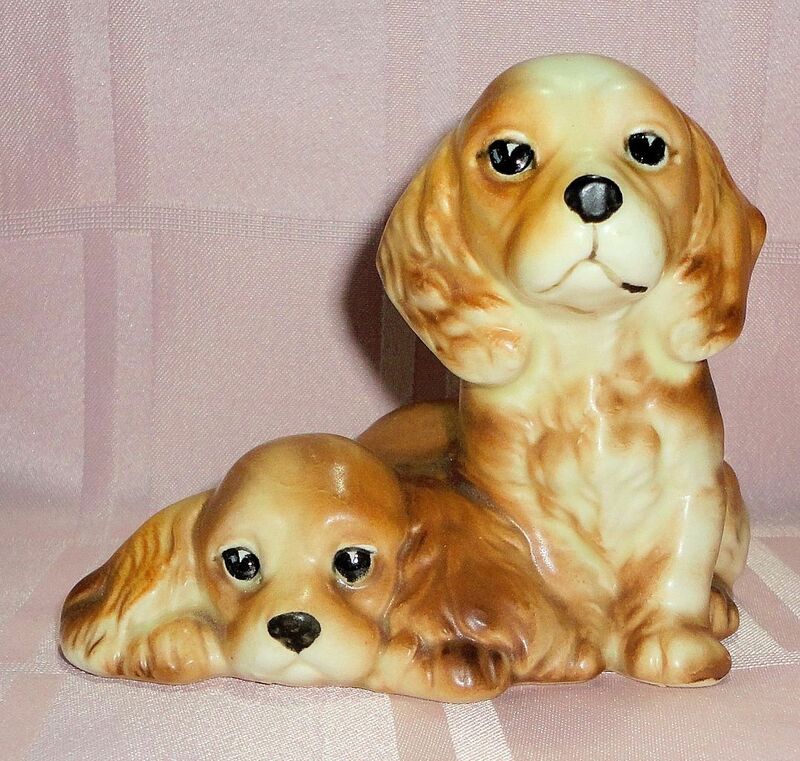 The nostalgia of Made in Japan ceramics also drives the market. 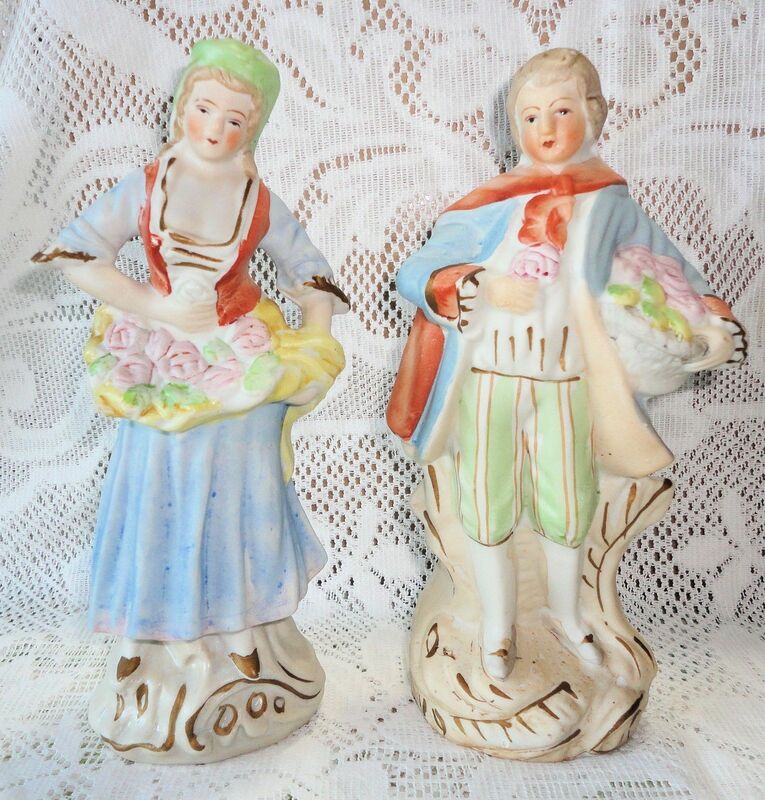 A popular collectible is a series of small figurines shamelessly based on Hummels and called American Children. Much of the Japanese work imitated favored established Western forms, such as the figurines above that mimic European work. Certain companies, most notably Otagiri and Takahashi, operated as importers of higher-quality Japanese ceramics well into the 1990s. Both these companies were based in San Francisco and provided fine work from various Japanese sources to upscale department stores. 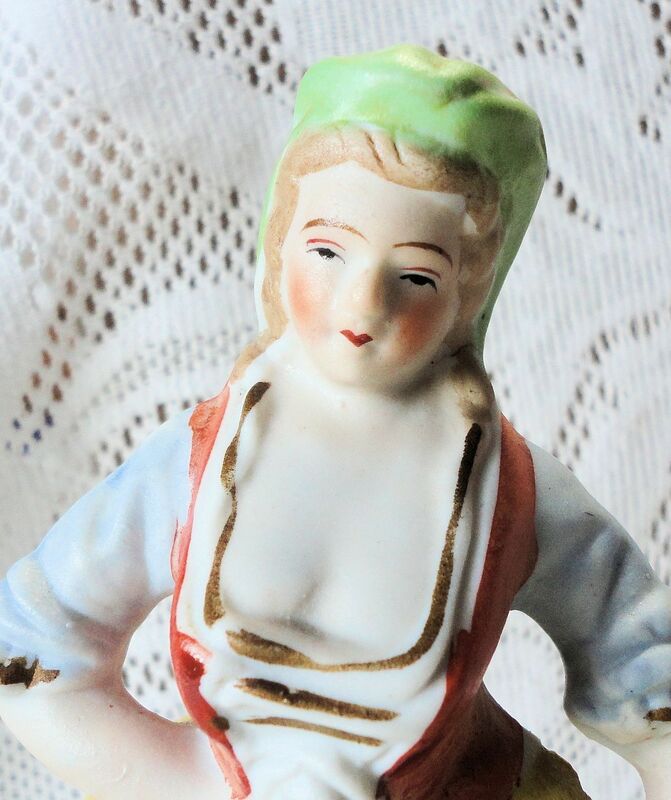 This entry was posted on March 18, 2015, in Phoenix Farm Store, Vintage and Antique and tagged collecting, Head vases, Japanese export ceramics, lusterware, Made in Japan, Mid-century collectibles, Nippon, Noritake, Nursery planters, online store, Otagiri, self-employment, Takahashi. I’ve had horses for most of my life and have found that the healthiest horses are those whose living conditions most closely replicate the wild state. Allowing the animals complete freedom of movement and choice about how they live when they are not serving humans keeps my horses fit and happy. They have a run-in shelter just big enough to get them out of the weather when they want to use it. My horses are never blanketed, they wear shaggy winter hair coats. Their pasture is about ten acres, expanding to twice that size in summer. The water comes from a pond in their pasture, or in the deep winter when the pond freezes over, from a small spring in the pasture woods. They must walk for water every day. The horses eat their hay off the ground and receive three quarts each of crimped oats per day during the winter, no sweet feed. In summer my horses subsist entirely on grass grazing, no oats. I have always had strong animals with lustrous coats, free of the illnesses and problems that can plague stabled horses. I never shoe my horses. Wearing shoes is unnatural and unnecessary. My horses always go barefoot and are never picky about going over rocky or hard terrain because their feet are callused and tough. Left front hoof trim underside finished, still needs the outside rasped. Note minimal trim to the frog and bars, wide frog, sole has not been pared. 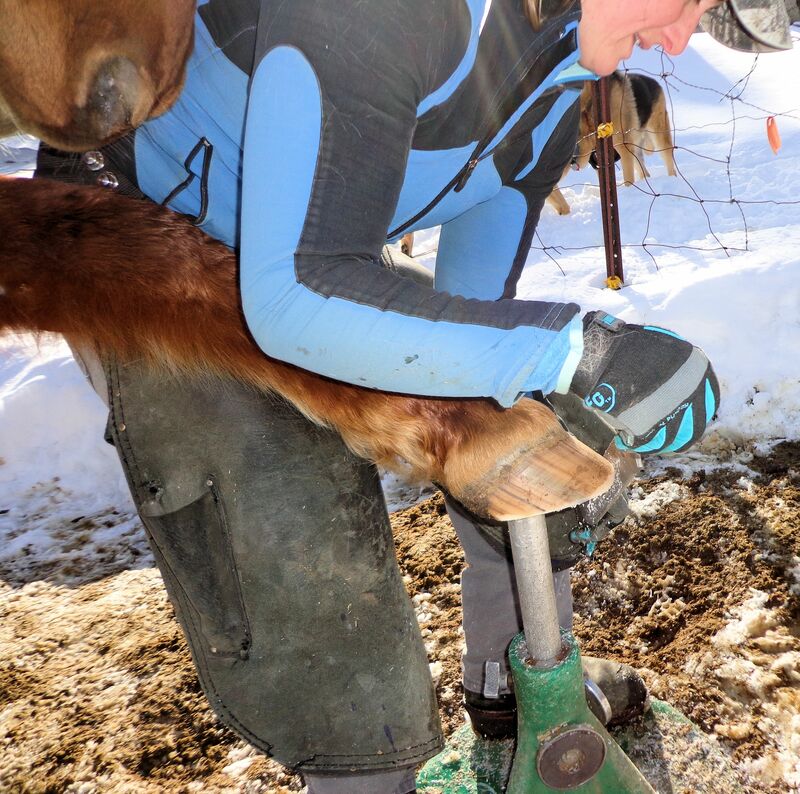 When it comes to trimming their hooves, I look to what nature designed for the horse. Wild horses with unlimited movement tend to wear their hooves in a certain way. The heel is low so that the frog makes good contact with the ground. This provides a surefooted grip on any surface. 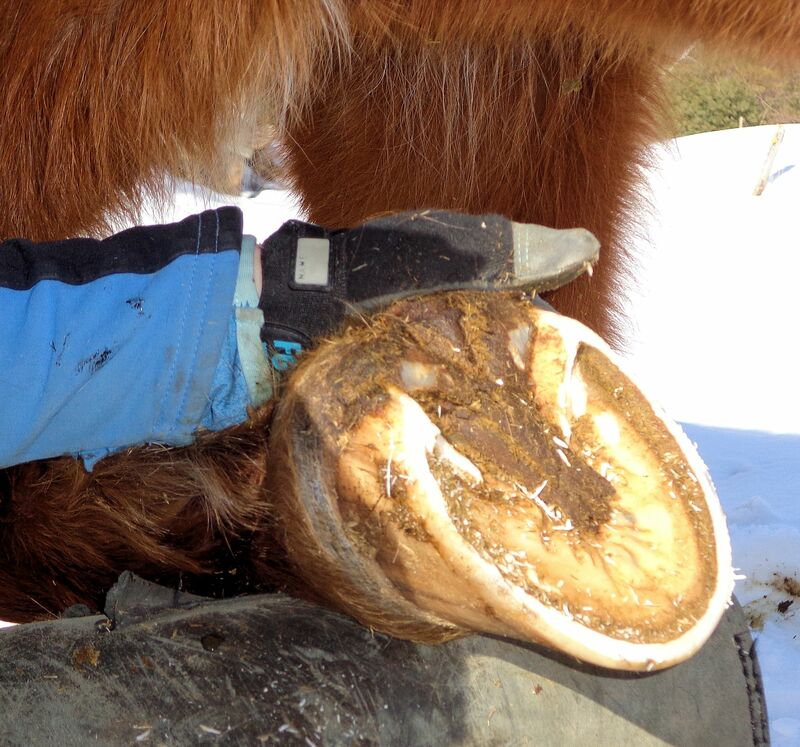 The hoof itself is short and rolled smooth around the outer edges. 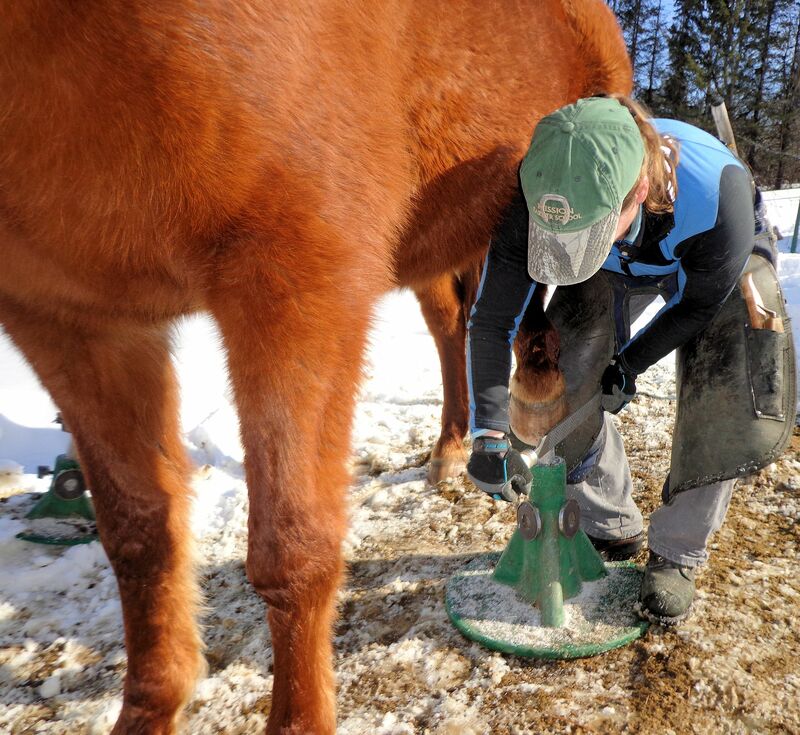 Constant use, especially in dry conditions, causes slow and steady wear to the hoof. Wild horses do not have a lot of hoof. In recent years more and more farriers have learned to provide a particular hoof cut called a barefoot trim. 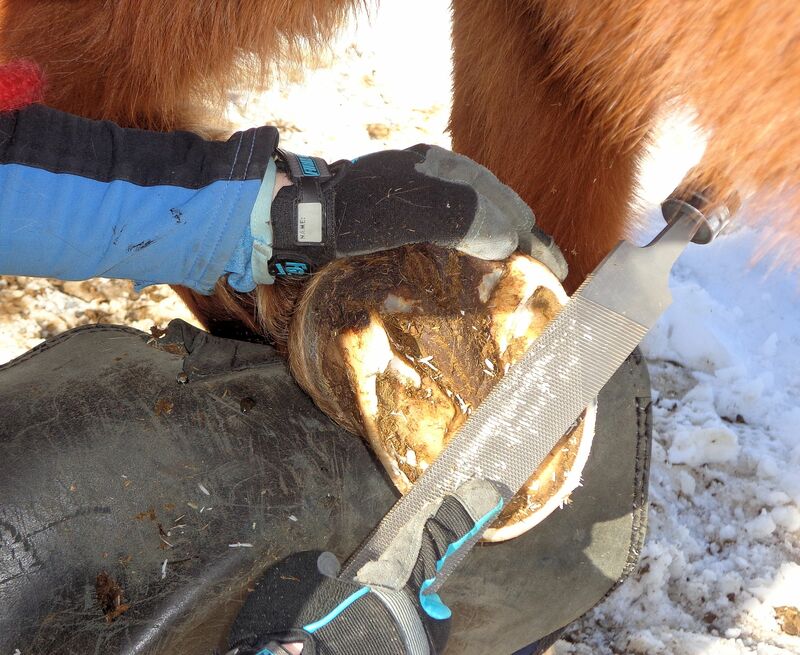 It is important to ascertain that a farrier uses this natural hoof care system and doesn’t just trim the hoof and leave it unshod, therefore calling it “barefoot.” Such a cut can lead to problems with hoof separation, cracking and lameness. A barefoot trim brings the heel low so the frog, particularly at the back, has wide contact with the ground. 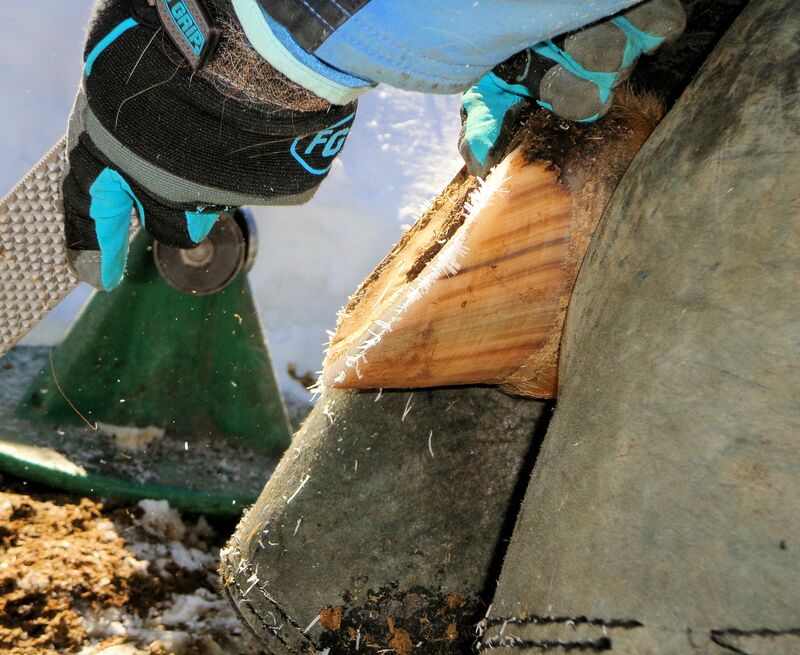 The toe is cut to a certain angle and the sides of the hoof at ground contact are allowed to form a natural divot about one-quarter of the way along the length of the hoof from the back so the foot has a little flex as the horse moves. The sides are all rounded, (something called a mustang roll) leaving no sharp edge to crack. 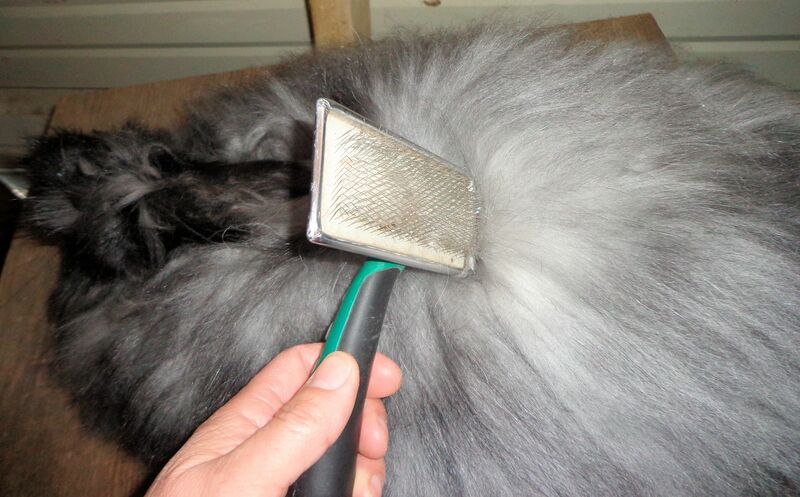 Much of the trim is done only with a rasp and the feet receive care about every seven weeks. The frog is rarely trimmed. 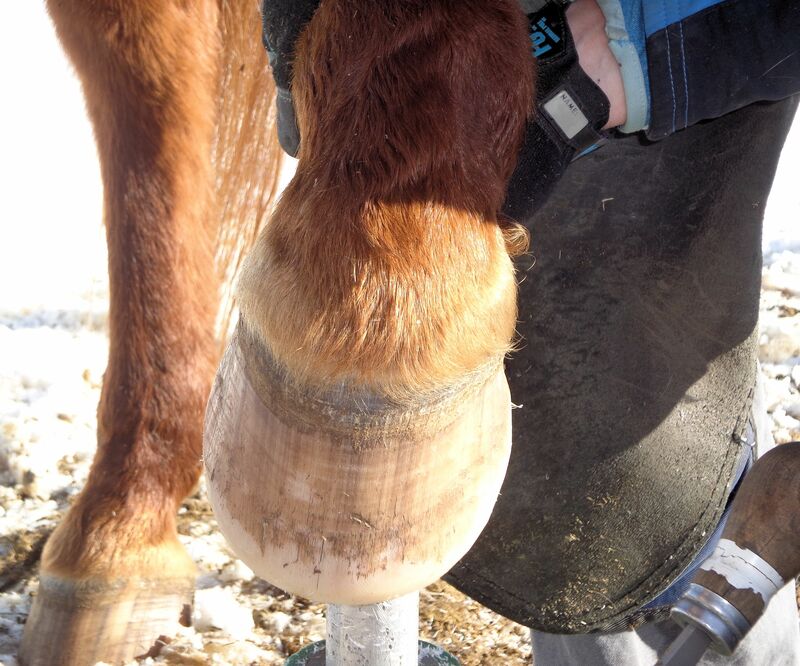 The bars of the hoof are maintained and not pared back because they help provide support for the hoof. 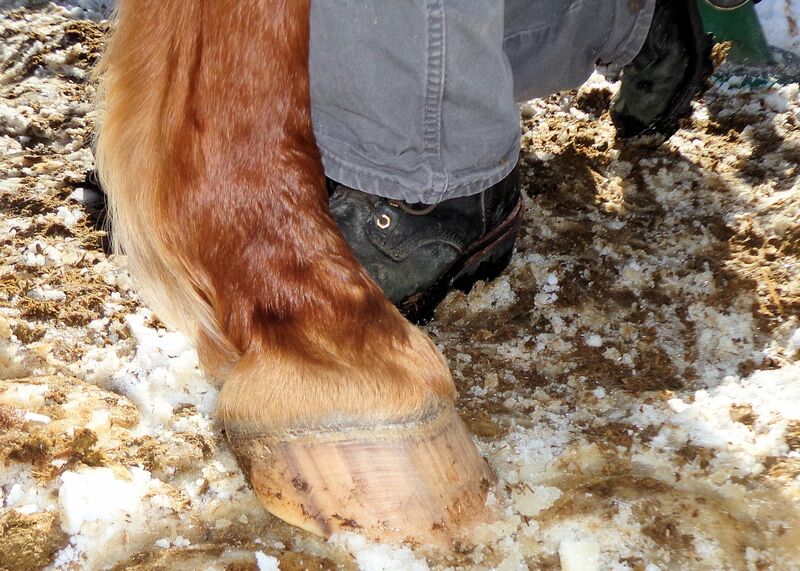 Very little sole needs to be removed once a horse has been on the barefoot trim for awhile. The sole forms a tough callus, much as human feet do when they go bare. When a horse is given this trim for the first time, the difference in gait is noticeable. The animal seems happier, more free in its movement, like it is walking on air. My horses have had the barefoot trim for years and if they could talk I know they’d say it’s just what their feet need. My younger mare, Maddie has always been given a barefoot trim. When Vista got her first one, I saw a definite improvement in attitude. It was as though she suddenly could walk comfortably! 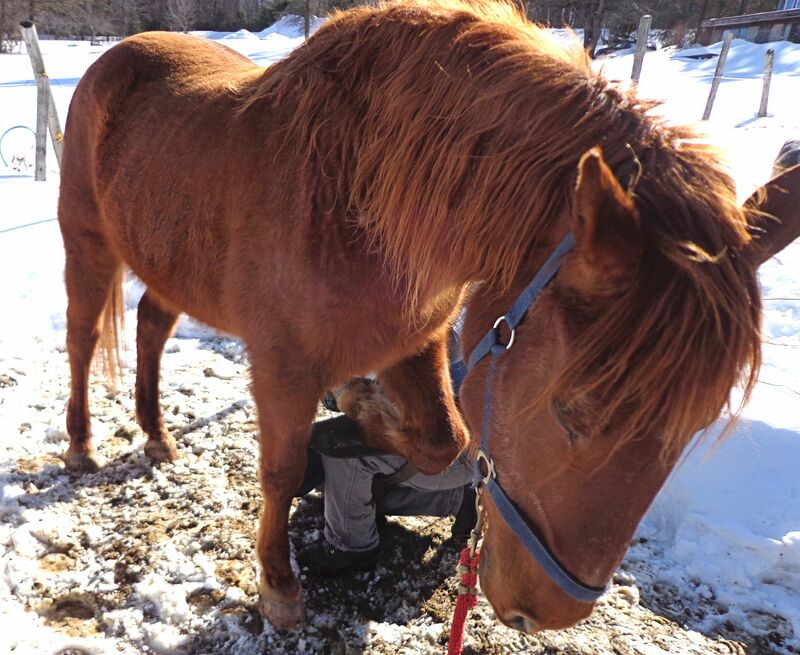 In the photos, Vista, a 26 year old three-quarter Saddlebred mare, is demonstrating how to be a good horse for a trim. 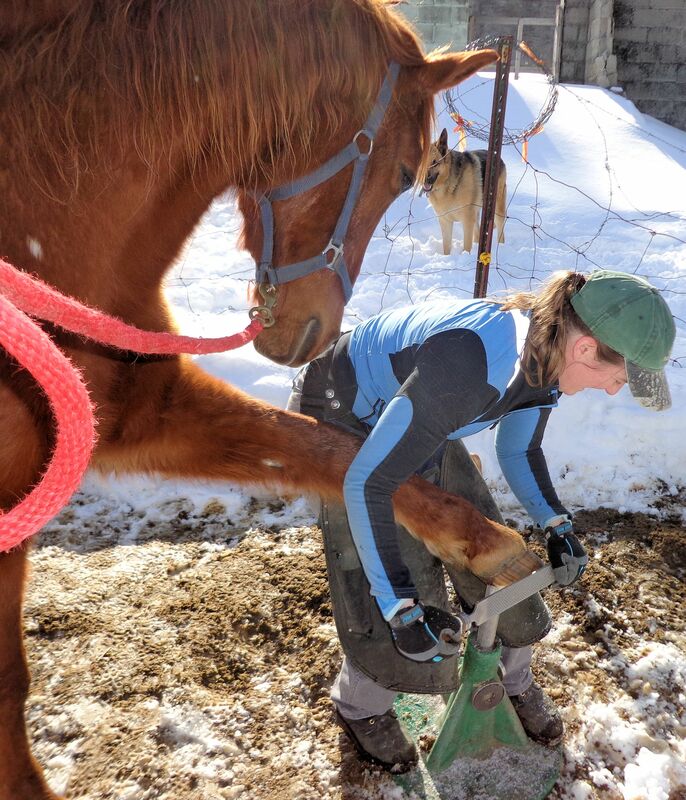 The farrier is Liselle Batt, her service is called Western Maine Horseshoeing and Trimming. She does a great job and the horses love her! 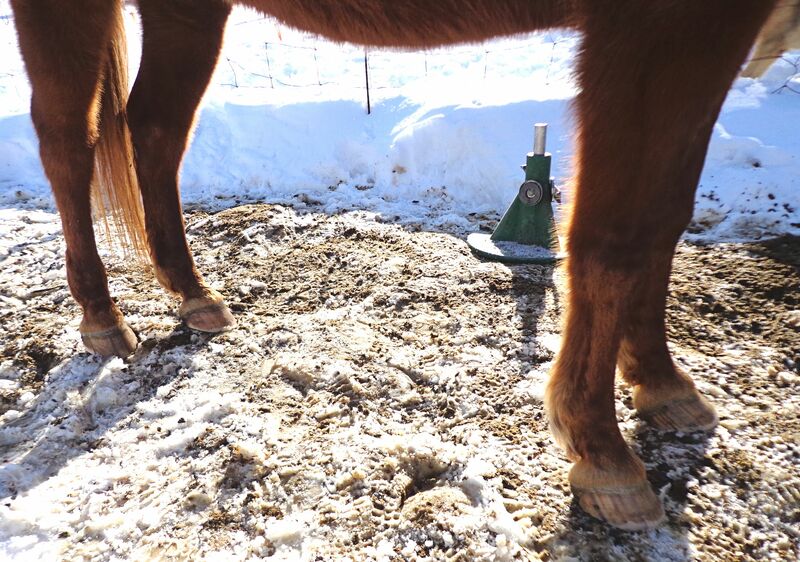 This entry was posted on March 16, 2015, in Farming, The Horses and tagged animal care, Barefoot trim, equine care, farm life, healthy horse, horse care, Horse farrier, Horse Hoof Care, natural hoof care, no horse shoes, rural living, the natural horse, unshod horse.